Aww Happy 2 years old SVC!!! Thanks for letting me be a part of this little world.. ♥ Each one of you hold a special place in my heart! I think I fixed it!!! And we LOVE you Ginger! Wish we had gotten an actual group picture of all of us when you where here! shame on us! Wow, 2 years already! 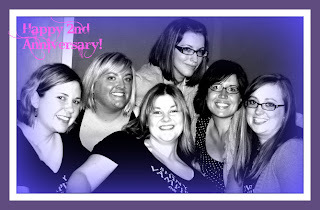 Happy anniversary, lady husbands. <3! Love you SVC! Here's to 2 + hundreds of more years and great memories together! I think mine was after the MOA signing! Not real sure though! I had to add the mani. 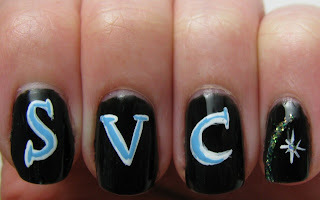 You can check out the right hand at my polish blog! Yay! Sneaky, since I didn't see this on your iPolished post this morning.